Marshall Meyer, a professor at the Wharton School of Business at the University of Pennsylvania, will talk about business models in China in a free talk at the Sun Valley Center for the Arts on Thursday, March 28, at 5:30 p.m. The talk, titled “It’s Better To Be the Head of a Rooster Than the Tail of a Dragon,” is part of a lead-up to a multidisciplinary project on China that The Center will open on Aug. 30. 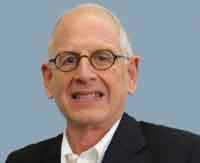 Meyer is an expert on organizational performance and management in China. He holds a Ph.D. from the University of Chicago and has taught at Wharton since 1987. His talk will discuss different ways that Chinese firms are doing business in the 21st century. Poole and Center staff member Courtney Gilbert will teach a two-part class on Orientalism in Western art on May 9 and 16. Then, this fall with the opening of the project on China, The Center will kick off an in-depth, seminar-style series of classes and lectures–The Center’s first “Symposium for the Curious”—with a focus on China. As a part of the fall symposium, Meyer will return to The Center to teach a four-session class on China’s economy. When: Thursday, March 28, at 5:30 p.m.
Where: Sun Valley Center for the Arts, Ketchum.